Most marketers know that engaging their audience with relevant high-quality content could create tremendous growth for their business. However, many content marketing programs often fall short of desired outcomes. The top challenge marketers face is the availability of time and budget to produce engaging content. 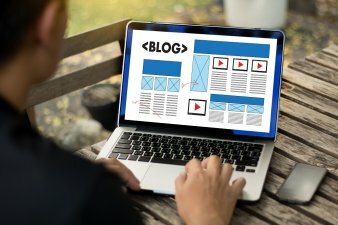 The absence of content creation services and inability to measure its effectiveness are other reasons why content marketing services are important. DECK 7 provides clients with full-cycle content marketing services that incorporate various activities from strategy and planning, editorial calendar scheduling, content creation, content asset management, multi-channel distribution, customization and measuring ROI. Connect with a content marketing specialist at DECK 7 to learn more about the options available to your business to create multiple touch-points with your customers over a variety of digital media formats. Develop and document a content marketing strategy and road map. Custom development for white papers, blogs, email templates, newsletters, infographics, webinars, social media content, and landing pages. Concerted content marketing using a variety of distribution tactics across multiple digital channels. Dedicated account manager and content marketing specialist. Develop engaging content and keep it flowing along all your marketing channels. Connect with one of our content specialists for a free consultation on your content marketing strategy.